Discussion in 'Football Manager' started by Republika Hrvatska, Oct 7, 2018. Discuss Football Manager 2019 in the Football Manager area at TalkCeltic.net. Knew we had a good chance, but was not expecting this! Vinicius from Napoli been class for me for Swansea in league one. 42 goals in 43 games (12 sub appearances in there). Cost £1.5m, £12k a week. Not the best standard, but looks to be a good target man. Been lethal from crosses. Going to look to take him with me to the next club, don't fancy trying to get out of the Championship. Brilliant in the league. One defeat at Pittodrie. Hoping to go unbeaten next season. The key to the champions league win was my rotation domestically, meaning my best 11 were always fully fit for the CL games. Everyone got a fair amount of game time, which is highlighted by the fact that the most starts by an outfield player was Boyata with 39. 9 players reached double figures for goals which must be a record for me in a season on FM. My main tactic which I used in all CL home games, the final and the majority of big domestic games. Only really use this away in Europe and the odd big domestic game if I feel that the 4-2-3-1 hasn’t been working well, which is rare! My tactic for spanking teams. Used a lot in the league against the smaller teams. May try and use it Europe to see if it gets results there too. Think the key to this one is the wide playmaker, with Xadas being amazing in this role, and the fact the 2 centre backs on the outside are stoppers to close down any danger quickly rather than letting a player run at our back 3. Mr. Fawlty and callumrae1967 like this. Theres another good box to box. cheers mate will take a look at them tonight, i like the look of the Croatian guy. With the impending 17 foreign player rule thats about to me hit me, this could be a pretty busy window. I shouldn’t need to sell foreigners and replace them with British players, its more that I need to trim the squad as there are too many players in general. Obviously my rotation policy worked well last season but some players deserve more game time this season. Boyata has been brilliant but will look to sell him while I can still get a fee for him. Markovic looks amazing so he will take his place in the first 11. I doubt I’ll sign a replacement. Soucek can play centre half if I’m ever short. 9 is too many for the 3 midfield spots, especially when a few can play CAM and CM. Brown will go unless he wants to stay as a coach. He’s done now physically. Despite being pretty good I’ll probably try and sell Perreira too, as Rogic and Gronli are both better than him. Xadas is a strange one. His attributes haven’t improved much and he is only 2.5 starts CA and PA, but he is immense as a WP when I play 3-4-1-2. I plan on selling either him or Florinel Coman - despite playing different positions. I’ll probably look to sign a defensive minded player to replace Brown in the squad. Forrest has been pretty good for 2 seasons but he’s now 29 and regressing a bit so will probably sell if I can find a top winger. Vargas is the best signing I have made. Johnstone was very good last season and I want to play him even more. That’s why I’ll probably sell Coman rather than Xasas. League form has been frustratingly inconsistent of late, and the race for the title/top 4 is shaping up to be a manic and cut throat slog to the finish, with several teams in contention. We started the season on a proper tear but injuries eventually caught up with us, our form deserted us largely on the back of losing Williams and Bautista concurrently for a long period of time. Our first 13 league matches was the period of our best run, the only blemishes in that were draws against Deportivo and Valencia and a loss away to Atleti. But we quickly got points on the board with 10 wins from those 13 fixtures, including an impressive 1-0 win against Barca at the Camp Nou despite not having Williams/Bautista in the side due to the aforementioned injuries. After the Barca win, however, things went to *. Our last two league fixtures prior to the winter break were frustrating losses to Eibar and Rayo. We kicked off January with back to back draws against Leganes and Betis. 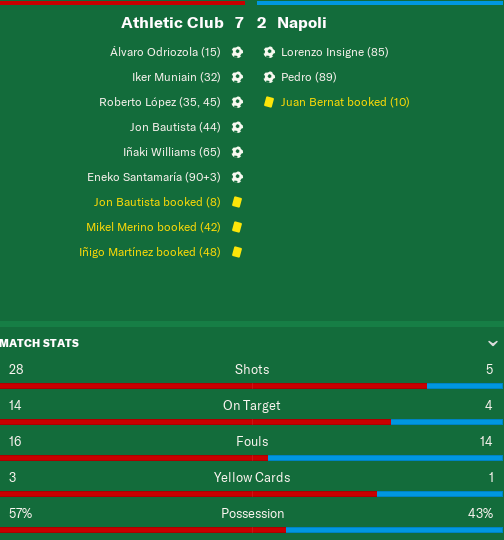 Briefly turned things around with routine wins against Gijon and Levante, but we were then back to shooting ourselves in the foot with a draw away to Espanyol (whom we beat 5-0 earlier in the season) and a loss away to Celta. Our Copa del Rey campaign also came to an end at this time, losing to Barca in the quarters 1-2 on agg. So it was a miserable time all round. We have, however, been doing excellently in Europe. We topped our group, turns out Leverkusen are going through a bit of a rough patch, Porto are * and PSG are PSG: Europe Edition. Highlight was unquestionably winning 2-0 at the Parc de Princes, we also held them to a 0-0 draw on home soil. Only real blot on our copybook was a 1-0 loss away to Porto, but by that point we'd already qualified and I was rotating for the sake of the league. A first knockout round clash with Spurs was our reward. We've now got Dortmund in the quarters, and they're arguably a weaker side than the Spurs one which we just beat. Okay, Spurs no longer feature Man United's Harry Kane, but they do boast the likes of Thauvin, Fekir, Pulisic, Tierney, Can and Pavard. Dortmund meanwhile are limping along in sixth in the Bundesliga, They're a tad better than Leverkusen, but we've got experience of going to Germany and getting a result this season. One potential problem is Odriozola and Merino being suspended for the first leg - the former for yellow card accumulation and the latter for a red - but it's at home so they'll at least be available for the trip to Signal Iduna. I made a decent January signing from Sociedad in the form of Roberto Lopez, a 20-y/o #10. He was out on loan at Deportivo and for some reason Sociedad didn't see a future in him, letting me have him for £12.5m which is a decent chunk lower than his release clause at the time (£16m iirc). With Raul Garcia getting on a bit at 34-y/o (still slotting away killer free kicks though, the man can still hold his own in the starting XI) and with second choice #10 Unai Lopez possessing sod all potential, and also being needed for 2nd-choice RW duties after Susaeta tore a hammy and returned 2 months later a touch slower, we really needed to identify a short-medium term #10 of the future. Oyarzabal sadly remains out of reach, with the board refusing to sanction my request to buy him, and him probably not keen on jumping the Basque divide. But Bobby Lopez is not a bad consolation prize, he's got a bunch of potential - 4 gold and 1 black star - and is already considered on par with Raul Garcia in terms of current ability. The weakest aspects of his game are on the mental side with 10, 10 and 11 for flair, off the ball and vision respectively, but those areas should flesh out a bit with age and experience. He's predictably * in the air for someone of such diminutive stature, but he's quick at 15/14 accel/pace, and has 15s for both passing and dribbling, 14s for first touch and long shots, and 13s for finishing and technique. He also possesses 15 for decisions, so it's not all doom and gloom in the mentals department. Early form has been encouraging, he's scored 3 and assisted 1 in 8 league apps, notched up 1 assist in his UCL debut and scored 1 and assisted 1 in 3 Copa del Rey appearances. Think we may well have a future Spain international on our hands. Our league form has more or less gotten back on track following that defeat away to Celta. We've recorded 4 wins from our last 7 games - Malaga, Villarreal, Sevilla, Deportivo - along with two defeats to the Madrid big boys and a frustrating derby draw against Sociedad. Although the top of the league is a bit of a cluster at the moment, our remaining 10 games are a reasonably good run of fixtures on paper. April is a bit tough with a trip to Valencia and hosting Barca on the agenda, but it should be smooth sailing from there. Top 4 is by no means guaranteed, and I can't help feeling that we've thrown away a massive chance to have a proper title tilt this season with Real and Barca not performing to their usual standards, but regardless we're on the right track. Surely Atleti can't throw this one away. Done the double in my first season. In December I was 11 points behind Rangers, but managed to turn it around and finish 5 points ahead. They knocked us out in the Scottish Cup semi. 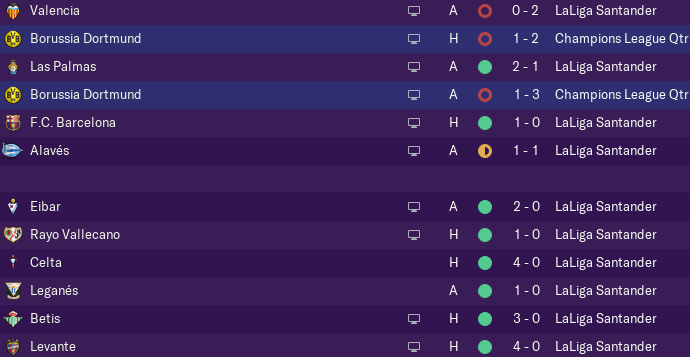 The first 4 games in Europe were shocking and we didn't get a single point but after changing my tactics I got 4 points in the last 2 games but dropped out. So far the Summer Window has been interesting, sold Rogic for £13.5m as I just couldn't get him to perform, and then Liverpool came calling for Ntcham and he wanted to leave so I managed to get £51m plus another £9m in addons for him. Ntcham scored 20 from CM last season so it will be tough to replace that. After 22 goals and 22 assists in the first season I decided to stick with Sinclair despite his age and interest from England and I gave him a new contract. First UCL qualifier ..9 goals up he gets injured for 5 months. I've had bids accepted for Olmo, Fischer and the Argentine LW but all 3 wanted 70k + in wages so I'm back to scouting a new LW. I've signed Arp from Hamburg for £14m so now looking to offload Griff...his attitude is terrible and every time I sell a player he flings a huff and doesn't turn up to training lol. Turns out that Dortmund are actually pretty good. 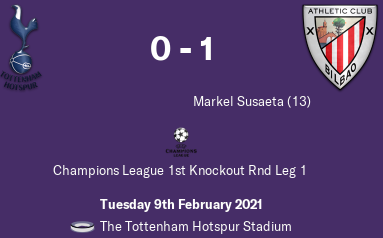 We went 1-0 up and I made the mistake of trying to press home the advantage, anticipating a tricky away leg to follow. Timo Werner equalised and that should have been the warning: set up shop, son. Alas, I went even more attacking and we ended up conceding another Werner Tor, losing 2-1. The away leg was a shitshow, we went ahead early via a Maresic ogloal but they quickly leveled things. Was pushing for the second away goal to level things on aggregate but they broke through, and scored again as I pushed us into "going down in flames you can't take our freedom" mode. Ah well, progression would only have distracted us from the mammoth league run we needed to put together to claim CL footy for 21/22. We started the 10 game league run-in in the worst way possible, losing to fellow CL/title contenders Valencia. 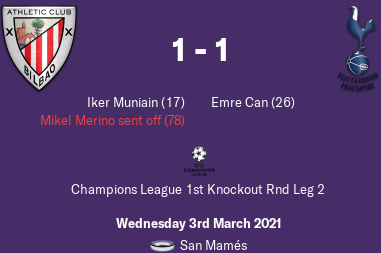 We bounced back brilliantly, however, managing to beat Barca 1-0 at home to claim the league double over them. Magnificent, and vital. We slipped up again in the next fixture, ending up with a frustrating 1-1 draw away to Alaves. The margins at the top of the table were silly, with 5 teams battling it out for four spots. We'd need to string together a run of impeccable form to close out the season, and we * well did. 6 wins from the final 6. 6 clean sheets. Granted, a lot of the opposition was rubbish. But these were the type of teams we kept tripping up against in the middle phase of the season. Bautista had a hot run down the stretch, scoring 7 league goals in that run of 10 games. Merino also came to the fore, laying on multiple assists and scoring 4 goals of his own, including the vital match-winner away to Leganes and a brace against Celta. Strictly speaking we entered the final day with a remote chance of winning the title. We had a superior head-to-head against Barca, due to the aforementioned league double over them. But as they were playing Deportivo it was highly unlikely they'd lose, and we'd also require Atleti and Valencia to drop points. The run wasn't just impressive but in hindsight, it was absolutely necessary. Had one of those six wins been a loss, we'd be playing Europa League football next season (on current numbers, take three points away from us and Real would be ahead on goals scored, as we had a win apiece in the head-to-head: though if we'd have lost one of the six we'd have ended up with an inferior GD as well... quite amusing how * they've been defensively, we've both ended up with a +41 GD, but we got there via a sensible 65 goals scored 24 conceded... they scored 81 and conceded 40). Credit to Emery, despite repeated rumours about being up for the sack, some as little as a month or so ago, he has managed to lead Barca to a petite Treble (League, Copa del Rey, Europa League). Ancelotti's future is far less certain, you suspect he'll pay the price for the non-top four finish with his job and his back-to-back titles will be swiftly forgotten. They may even try to snare Sevilla's Arsene Wenger as a replacement. In other European news Pep Guardiola's Liverpool claimed a third successive English league crown. Juve have gone back-to-back in Italy, whilst Bayern have claimed their 9th-in-a-row. Barcelona defeated Benfica in the Europa League final, keeping the curse of Bela Guttmann alive, whilst Sarri's Chelsea have defended their Champions League crown, defeating MoUnited at the Ernst-Happel Stadion. I'm anticipating some fairly significant change to the playing squad over the summer. I fear Real may decide to recall Odriozola (recall clauses are seemingly mandatory in Spain), so I will probably push that deal through early and activate the buy clause if I can cobble the money together. Board has set my budget at £29m but that can be bumped up to £40m by robbing the wage allocation. In addition to this we'll be saying farewell to Benat. He no longer has the legs and doesn't justify playing time against top tier opposition. He'll depart on a Bosman with my blessing, and his spot in the squad will go to Sancet who has been treading water on loan at Leganes and is in need of some more focused development at the club. Also anticipate foregoing the chance to offer Balenziaga, my 2nd-choice left back, a new contract. He doesn't get any game time behind the excellent Yuri and at nearly 34 y/o his pace has completely gone. Thankfully I've got a stellar 17 y/o regen LB purchased from Osasuna - Iker Pena - who is ripe for an early promotion to the first team. Gave him some Copa del Rey minutes this season and he more than held his own. Final move I'm pondering is cutting ties with Kenan Kodro, who struggled to break an extended goal drought this season. He'll probably get a stay of execution although it's last chance saloon territory as I have a fantastic regen striker coming through my academy, Eneko Garde. Lad is just 16, he took the record for youngest Athletic player away from Iker Muniain by making his debut against Malaga in the Copa del Rey at just 16 yrs 44 days, and he promptly scored to claim the youngest goalscorer record as well. Bautista is ticking along reasonably well as first-choice and notched up 20 goals in all comps this season, including 16 in the league, but Garde very much looks like the Basque striker of the future. Big fan of the various new detailed financial graphs that pop up in your inbox periodically. Wages to turnover, for instance. 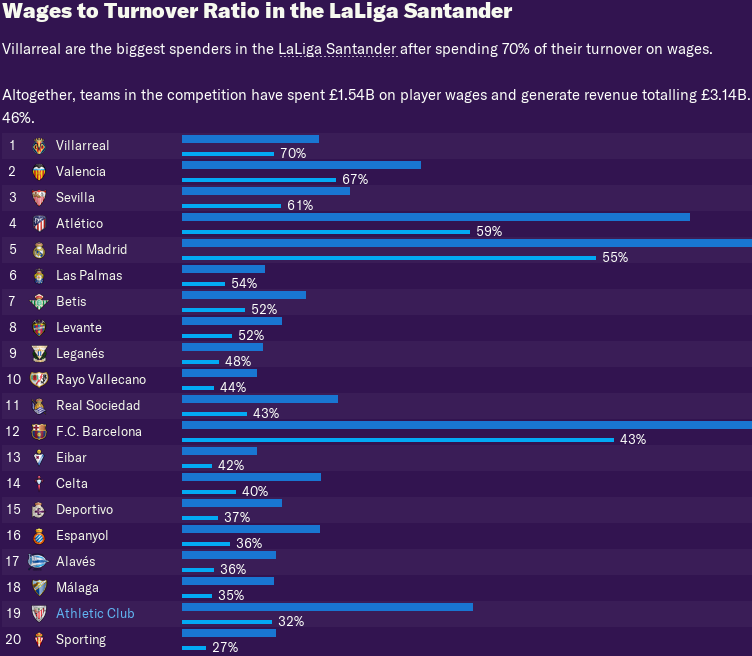 Villarreal are the worst offenders in the league, with a mammoth 70% of their turnover being sucked up by wages, whilst we're ticking over nicely in 19th overall with a mere 32% of our turnover going to the players. I've had to crop the Real/Barca turnover bars as they just keep stretching rightwards. Onward and upwards, Aupa Athletic, etc. mickcfc91 and SeanyBhooy like this. Never seen a table like it! Yeah, really mental table with so many teams so close. 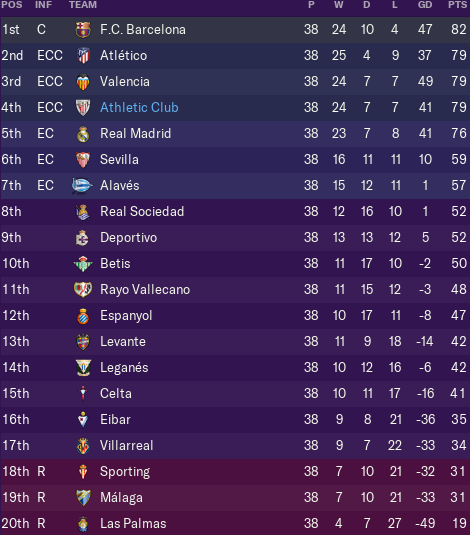 Craziest table I've seen was probably FM 18 when I recall three teams finishing equal top on points and having to be sorted on head-to-head. Man United have just snapped up Saul from Atleti whilst Liverpool bought Asensio from Real, hopefully that will translate to both being weaker next season. No one wanted Forrest so he stays. Still trying to sell Xadas. Big fee and big wages for a top quality player. I plan on making him my first choice on the right and play him as a winger. The new Wanyama. An absolute monster physically. Taking no notice of his 3 star rating as he definitely looks better than that. Can play centre half and right back too which is a bonus. Decided to sell Pierie as he hadn’t developed much in his first season. So after selling Boyata too, needed another centre half and made sense to get a british one given the new brexit rules. That’s probably my business done for the window. Right back is the only other position that I may look to make a change. Decided to send Sancet out on loan again rather than have him stick around on bench warming duties. He’s not quite ready yet, a season at Getafe makes sense. Given the steady decline of Mikel San Jose as my 4th-choice CB, however, I’ve decided to retain Jorge Herrando in the squad rather than loaning him out to Empoli. Could have taken the easy 3m in loan fees but I feel it’s time to get him involved. Has a bunch of potential. Will be a bit of a mission to juggle 5 centre halves but I should be able to just about keep San Jose happy as he’ll also get 5th choice midfield minutes. Right Wing situation is getting a bit worrying, Susaeta wants to leave having achieved everything he wants to at the club. Despite being unhappy he still signed up to a new contract for the year. I don’t recall seeing a message about his unhappiness popping up, the achieved everything complaint is usually one of the easier ones to deal with. I may have just overlooked it as I was grinding through the swamp of off-season admin. Hope he sorts his happiness out sooner rather than later, as he’s the only really viable backup to Williams. I can foresee RW being my new ‘depth crisis’ position, now that we’ve got a bunch of budding young centre forwards on the books. Regen wingers are notoriously hit and miss in FM, it’s hard to come across one with a skill set that isn’t sorely lacking in some aspect. Still hark back to the days of FM12ish and my wunderkind regen right inside forward Craig Hunter in a Celtic save, probably the only regen winger I’ve ever been impressed with. Decided not to do the traditional Asia pre-season as the money on offer is rather dire, even against the big Chinese sides. None of the MLS sides were available to play in the US. Ended up just heading to London for a Wimbledon-Fulham double header, before accepting an invite to play PSG and net half a mil in the process. Then back home for the mandatory Basque affiliate friendlies, and a final hit out against PSV before the season proper gets underway with the visit of Betis. Erling Haland looks amazing btw. Had him at Molde, very good. Doesn’t seem to have progressed 2 seasons later at Salzburg. Finishing still 13, scoring goals though. Barca have just bought him in my save, that's how I noticed him. 15 finishing and killer accel/pace, will be interesting to see if he displaces Suarez. Salzburg barely played him, 23 league apps over the last two seasons. Has 20 goals in 24 Norway apps. 18 pace for a 6' 4" striker is very formidable. Seosamh Máirtín and ourdaywillcome! like this. I've just decided to call time on the Kenan Kodro era, punting him out on loan with a view to selling, so my domestic player bias has crept up to the 100% mark. 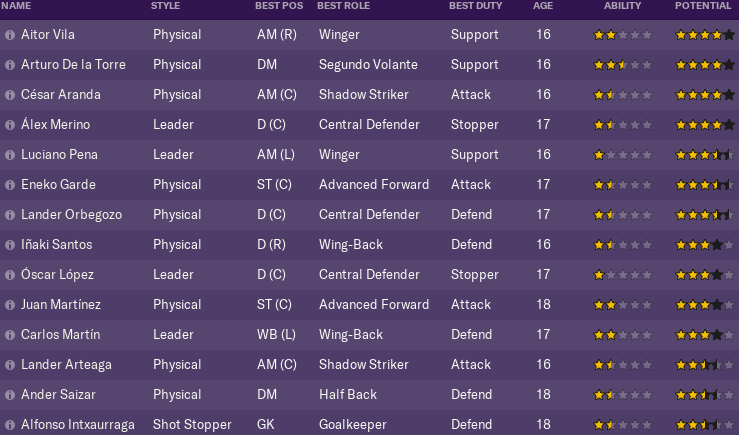 I've got too many young strikers getting in each others way for minutes in both the U19s and the B-team, so the only solution was to promote the best of my regen #9s up to the first team to play second fiddle to Bautista. The most developed at this stage is an 18 y/o chap I pinched from Osasuna for 3.5m, Eneko Santamaria. I admit to having forgotten all about him post-purchase. He doesn't have as much potential as my trio of club-grown (as opposed to pinched - a practice I've largely scaled back on as my own youth system is so adept at churning out gems) regen strikers - Angel Eraso, Juan Martinez and Eneko Garde - but he's the best in terms of current ability. Scored on debut against Deportivo. We've won our first three league games of the campaign. Currently on a run of 9 games without conceding in the league, stretching back to the end of last season. Have a * of a CL group featuring PSG (again, yawn), Napoli and Zenit. edit: Oh, dear. What are Napoli playing at here? Could have shut up shop at 6-0 to extend our clean sheet run, but happy to concede 2 in order to chase a maiden European goal for Santamaria. It turned out a very good summer window in my second season. £51m for Ntcham made up most of our £74m in sales. Our big singing was Shepelev, I probably paid bit a bit over the odds for him but it was never going to be easy replacing Ntcham. * of a CL group again. So I am lining up with. Brown & Sinclair are both out with long term injuries, and I have Gronli, De Graca and Morilla out on loan. Mr. Fawlty and LM67 like this. Just starting my second season as Celtic. I won the treble in my first, finishing 16 points clear of Rangers although I didn't take top spot until January. I came third in my CL group (Bayern, Man Utd and Spartak). I made it to the last 16 of the Europa League, knocking out Galatasaray 4-1 on aggregate but losing to PSG 5-2. I think I've really made good use of the free transfer market. Moreno is an absolute steal. I don't think I've ever had such depth at left back. Centre half is also ridiculously strong. I would like more depth at right back, but with little in the transfer kitty, Dalot will more than do the job. Midfield is a wee bit light, but i'm struggling to to find a decent replacement for Brown. I rotate quite a bit in there to ensure Brown is available for European games. I was able to get him for compensation of £650k. Absolute bargain. he one negative is that i can't get a work permit for Rajkovic, which is frustrating as he's a Serbian International and better than Livakovic. I'm hoping he gets one at the next opportunity as a combination of Rajkovic and Livakovic means i probably won't need another keeper for the entire save. I am about to qualify for the CL again. I can't stop scoring. I beat the Latvian Champions 21-0 on aggregate, the Moldovan Champions 15-0 on aggregate, Dinamo Zagreb 5-2 and I've just beaten Victoria Plzen 7-0 in the first leg of the playoff. SeanyBhooy and LM67 like this. I got the Brexit warnings last night, 17 foreign player limit plus salary minimum. Do players with Home Grown status count? I am wondering if Ajer will count as home grown (he either already has it or is just about to get it). Also do players U21 that would gain Home Grown status still count as foreign? I have 5 first team players due to gain HG at he end of Season 3. All in it doesn't look too bad. Will keep Bain, Ralston, KT, McGregor & Forrest. We have a frightening array of young potential. Absolutely dripping in stars.